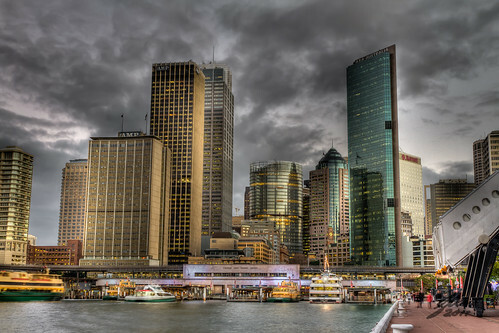 Circular Quay Sydney, a photo by Glen Adamson on Flickr. Looking back towards Circular Quay and Sydney. Thus use of blurred motion is my attempt to show the hustle and bustle of the Quay.